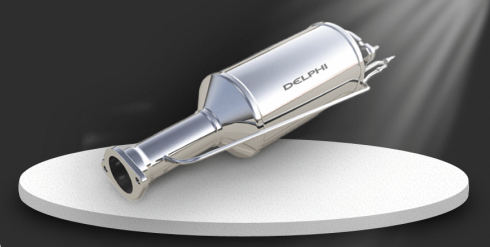 The Diesel Particulate Filter (DPF), is part of your exhaust system and operates by forcing exhaust gases through special substrate ‘walls’ inside the filter before they can be released from the unit. 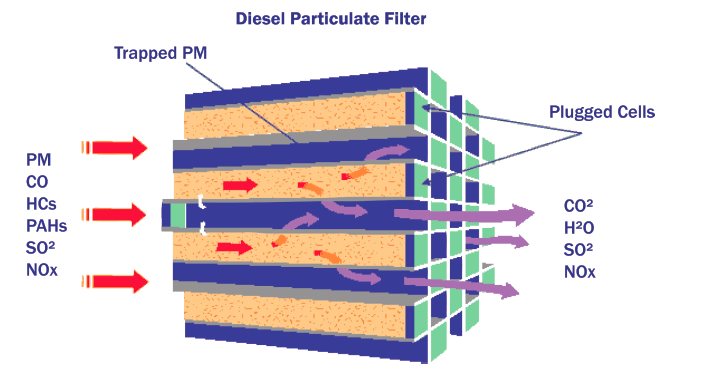 As this happens harmful diesel soot particles which are unable to pass through these walls remain trapped inside. This results in much cleaner exhaust gases being released into our Earth’s precious atmosphere. Alfa Romeo, Audi, BMW, Chrysler, Citroen, Dodge, Fiat, Ford, Holden, Hyundai, Isuzu, Iveco, Jaguar, Jeep, Kia, Land Rover, Mazda, Mercedes Benz, Mini, Mitsubishi, Nissan, Opel, Renault, Peugeot, Saab, Skoda, Subaru, Suzuki, Toyota, Volkswagen, and Volvo already use DPF’s in some of their passenger and light commercial range, and with tighter emissions control laws being constantly introduced, more and more manufacturers are beginning to utilise Diesel Particulate Filters in their vehicles. Over time soot builds up inside the filter increasingly blocking the Diesel Particulate Filter. Your vehicle is designed to sense this occurring, and through the feedback measured by pressure sensors, your vehicle engine management system will automatically perform a DPF regeneration which clears the soot and prevents blockage. The way this process works is by forcing unburnt fuel into the exhaust system and burning off the collected soot at high temperature to leave only a tiny residue of ash. Unfortunately when the DPF reaches about 80% soot saturation (this varies based on manufacturer), regeneration is no longer possible. This occurs if there are other mechanical issues which can affect the DPF, but also when poor quality or incorrect engine oil is used, when poor quality or incorrect fuel is used, or even if the vehicle is only used over short distances. 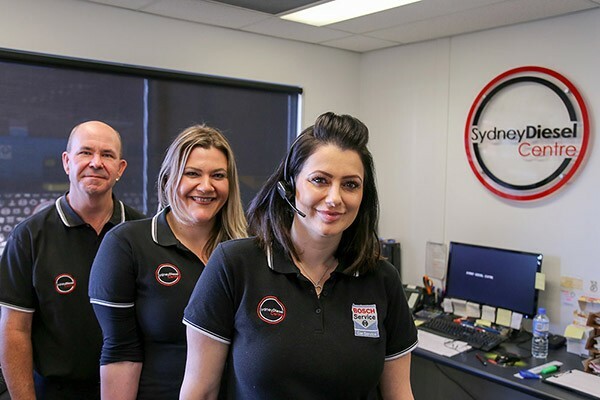 To avoid your Diesel Particulate Filter becoming blocked due to short driving trips, Sydney Diesel Centre has the latest equipment which enables us to access your vehicle’s engine management system and perform a forced DPF Regeneration. If the Diesel Particulate Filter does become blocked on your late model truck, 4WD, SUV or car, and your vehicle is going into limp mode, Sydney Diesel Centre can professionally clean your DPF using our specialised DPF Cleaning Program, and get you back on the road for a fraction of the cost of a new unit. In severe cases when your DPF has been damaged as a result of unprofessional attempts to clean by flushing with water, high pressure air blasting, or heating using an oxy acetylene or furnace system, or simply if your DPF has been blocked beyond repair, the experts at Sydney Diesel Centre can give you the right advice on the type and brand of new particulate filter you will require. Sydney Diesel Centre has a big and growing range of new DPF’s to suit most Diesel vehicles. We specialise in OEM standard aftermarket DPF’s made in Silicon Carbide, and we also supply Cordierite DPF’s as a more cost effective, high quality alternative. All our suppliers are established DPF manufacturers who also produce for the aftermarket divisions of the OE manufacturers. At Sydney Diesel Centre we like to investigate and advise what caused your DPF to clog up in the first place. We can then give you a plan to address the cause as well as the issue. 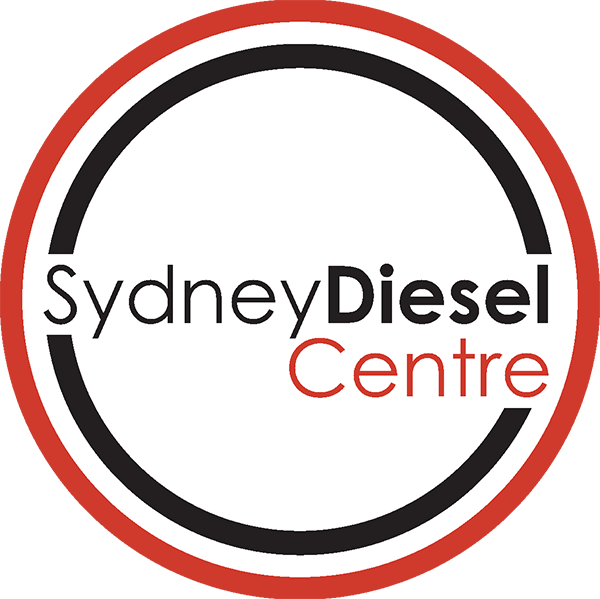 The experts at Sydney Diesel Centre can give you the right advice on type and brand of particulate filter required. There is a big range of Diesel Particulate Filters to suit any Diesel vehicle that uses one. Our dedicated Diesel Spare parts team is happy to help you find the filter for you at competitive prices!